Exercising is hard work; I’m sure it’s supposed to be or there wouldn’t be any benefit. But that doesn’t always make it easy to get started; especially in the cold winter months when I’m forced indoors. 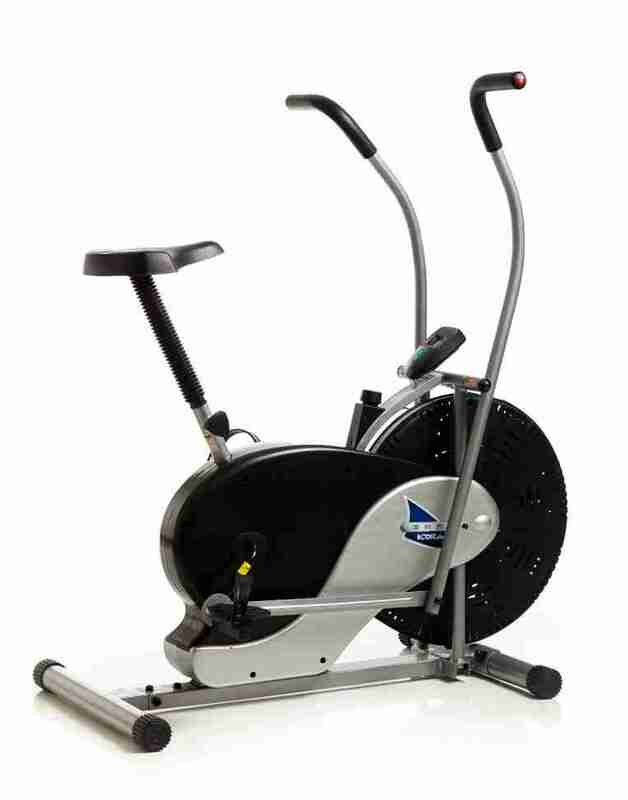 I love competing in triathlons; that’s why I started to think about the best upright exercise bike. Fortunately I have plenty of friends in the industry so I’ve been able to try a lot of machines. I have to say that the only bike that actually made my workout seem fun was the Schwinn Airdyne Pro. It has a unique style and the ability to challenge the top half of my body. That’s great for the swimming stage of my triathlons. There are those that say the recumbent exercise bike is a better option. However, I find that the best upright exercise bike is much better at giving you an authentic riding experience without leaving your house. This is part of makes it more enjoyable and helps me to maintain or even improve my fitness levels across the winter months. However, it is worth noting that a recumbent may be the better choice if you have a back or knee injury. They will reduce the strain on your joints. 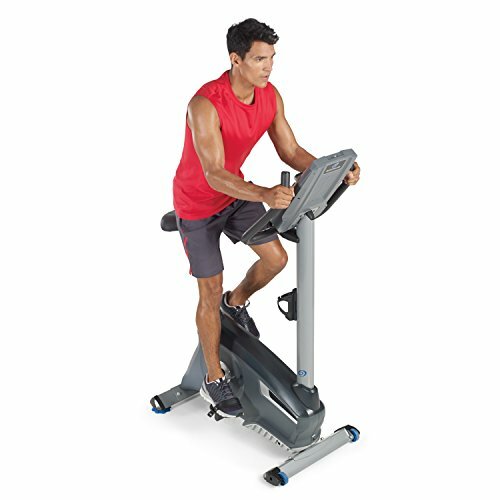 4 Ready To Purchase The Best Upright Exercise Bike? Schwinn make all types of bicycles, they will have something to offer regardless of whether you’re into road biking, trail or even just want something to get the children started. They have been in existence for over 120 years and are dedicated to providing the very best products. They certainly seem to have achieved this with the Schwinn AirDyne Pro. This is the best upright exercise bike on the market at the moment and it doesn’t even look like a traditional exercise bike! It is a professional grade option and at the higher end of the budget; but I believe it’s worth every cent. One look at this best upright exercise bike and you’ll know it’s different to the standard bikes. The front wheel is essential a massive fan, with 26 blades. This is connected to the crank with a belt; allowing you instant start up and an exceptionally smooth workout. But the fan does much more than this! It relies on wind resistance, the faster you pedal the greater the wind resistance and the harder it is to keep pedaling. You are guaranteed a great cardio workout on the Schwinn AirDyne Pro. If you want you can literally ride until your legs can’t turn the fan anymore. In the process you’ll have a great warm up and warm down. You don’t need to adjust any knobs or buttons to change the resistance, just change the speed at which you’re pedaling. One of my favorite features of the Schwinn AirDyne Pro is that the handlebars actually move if you want them to. This means you can work out just the top half of your body, just the lower part, or both. This means I can get a full body workout while maintaining my current cycling level. The Schwinn AirDyne Pro has four leveling platforms to ensure that it is sat firmly on the ground no matter what the terrain is. That’s good because at 113 pounds you don’t want this machine wobbling round. But that’s not the only way in which this machine is stable. You may be sat high but the majority of the weight is down low. Combine this with wide feet and the bike is surprisingly stable even when you pedaling hard or stood up in the saddle. The frame of the AirDyne is created to last. It is made from steel that has been double coated and moisture repellant. This is a commercial grade bike for your home. The display on the Schwinn AirDyne is fantastic in the way it shows how hard you’re working out in picture form. But, it is hard to see in some lights. If you’ve positioned the machine wrong it is quite possible that you won’t be able to see the stats as your ride. I’ve already mentioned that the best upright exercise bike weighs 113 pounds. This means you are not going to be moving it round your room. You need to consider this when putting it together and locating the bike. Sunny Health & Fitness are dedicated to providing you with the best range of fitness machines and accessories possible. They started trading over 15 years ago and have quickly become one of the top names in exercise equipment. They don’t actually make the equipment themselves, they import it after thorough testing and it looks like they got it right with the Asuna 4200. It also takes a non-traditional approach to the best upright exercise bike. You could easily go as far as to say this is a rugged design. In fact the frame is made from heavy duty steel and powder coated. This ensures it is stable even I you are pedaling as hard as you can or stood up in the saddle. You’ll also be impressed by the ergonomic design of the seat. Sunny have managed to balance comfort without going to large. The seat slides along a rail and can be moved up and down; virtually guaranteeing you’ll be comfortable no matter how tall or small you are. Of course the seat is high to allow you to really attack the ‘road’. Surprisingly there isn’t a single display on the Asuna 4200. This is an analogue exercise bike but it really works. The point behind this is to focus your attention on giving your all to the ride. If you’re doing that then it doesn’t really matter how fast or far you’re going. The bike is belt driven and has an adjustable resistance that can be changed as you ride. Other than that you’re free to focus on riding. The weight of this flywheel keeps the bike firmly in the ground as you exercise. It also ensures the experience is smooth and challenging. A professional athlete could struggle on the top levels of this resistance; you’re certain to find a level that suits your current needs. For some this will be an advantage but in a digital world many will see this as a serious disadvantage. There is no easy way to track your distance, calories burned or even the speed you’re going. The Asuna 4200 has transportation wheels fitted on one end. In theory you can lift the other end and wheel the machine out of the way when it’s not in use. However, it is worth remembering that it weighs 115 pounds; this is not a small weight to lift and wheel every time you use it. You’ll need to plan to keep it in one location. 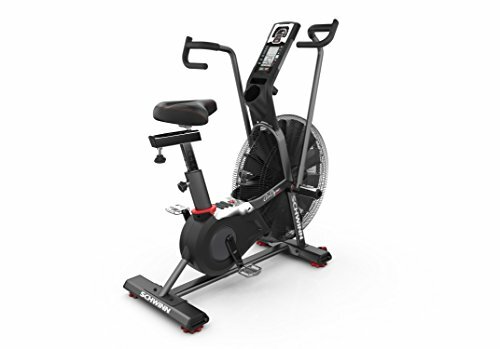 If you’re budget won’t stretch to the best upright exercise bike; the Schwinn AirDyne then the Nautilus is probably the best upright exercise bike in the mid range market. Nautilus has adopted a more conventional approach to this bike; it looks like a traditional exercise bike. But that doesn’t mean that it’s not a great bike, packed full of features! The company behind this bike is considered one of the best in the business and often called the founder of the modern gym. One thing is certain, they are dedicated to providing the best possible equipment; regardless of the price. The Nautilus U614 is a great example of this approach. The Nautilus U614 has a fairly lightweight steel frame but is still surprisingly stable thanks to the leveling screws and wheels. You can ride hard without worrying that the bike will start moving or the parts will start falling off. You can adjust the handlebars to get your position just right and move the seat up and down. The seat itself has padding to help ensure you are comfortable as you ride. This is where the U614 really excels. The bike has goal track technology. This allows you to set your own exercise goal and track your progress until your reach it. Alongside this there are 22 programs, 9 are profile, 8 heart rate, 2 custom, 2 fitness tests and a quick start option. You’ll also be able to adjust the resistance level as your ride; there are 20 different levels to get through. You can monitor your progress on the dual LCD screens. This includes distance, speed, calories burned and your heart rate. You can even export your data via the built in USB port and take a look at it on Nautilusconnect.com. It’s always nice to see a bike that offers a water bottle holder; if you’re working out hard you’ll be grateful for this on the Nautilus U614. You’ll probably also appreciate the built in speakers and the ability to connect your MP3 to the bike. There is also a media shelf in case you want to read or watch a tablet as you ride. The seat moves up and down but not forward and back. This may make it difficult to get comfortable. In fact several users have complained regarding the comfort of the seat when riding. There have been several customers with issues regarding damaged parts when the U614 is delivered. This is inconvenient although Nautilus do have a good customer service response team. 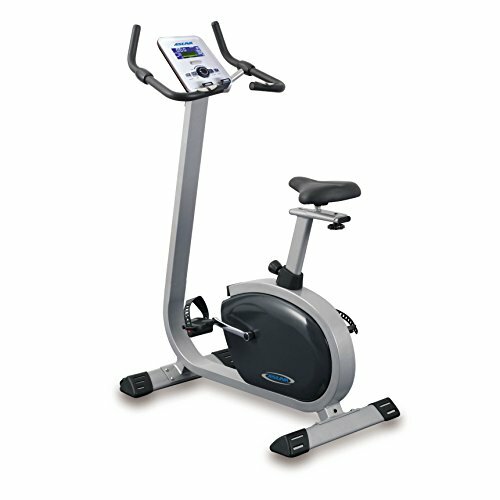 Ready To Purchase The Best Upright Exercise Bike? If you want to move your fitness up a level but are struggling with the cost of the very best upright exercise bike then the Nautilus U614 is a great compromise. But, if you can afford it then the Schwinn AirDyne Pro is the one to get. It offers the most realistic experience of being on the road; uses innovative technology to maximize your work out and even allows you to complete a whole body workout. I’ve bought the Schwinn AirDyne Pro and am confident it’s the best upright exercise bike currently available. Perhaps it’s time you ordered yours?